As a young person or the parent of a minor facing juvenile charges in New Jersey, the long-term consequences of being “adjudicated deliquent” and the juvenile justice process itself can be overwhelming. It can often feel like you can’t believe this is happening to you. Unfortunately, the rates of juvenile arrests, criminal charges, and adjudications in New Jersey are astounding. According to the New Jersey Juvenile Justice Commission, there are currently over 500 juvenile offenders in New Jersey who are committed, on probation, or in aftercare. These juveniles have been adjudicated delinquent for drug offenses, crimes against persons, public order violations, property crimes, violations of probation, weapons crimes, and other offenses. They hail from counties across the state, from Atlantic and Camden to Bergen, Essex, and Passaic. They range from eight-graders to high school graduates and those who have achieved GED’s. Their ethnicities, backgrounds, and personal stories are similarly variable, but they have one thing in common: they were drawn into the juvenile justice system and have yet to come out the other side. If you are a juvenile or the parent of a child charged with a crime in New Jersey, this fate is not inevitable. With an experienced New Jersey juvenile defense attorney, you can overcome juvenile criminal charges and move forward to pursue the life you deserve. At The Law Offices of Alissa Hascup, we are passionately committed to giving our clients the best chance of a successful future. Our firm’s founder, Alissa Hascup, is a gifted former prosecutor-turned criminal defense attorney, who utilizes her experience on both sides of the legal aisle to achieve superior outcomes for her clients. 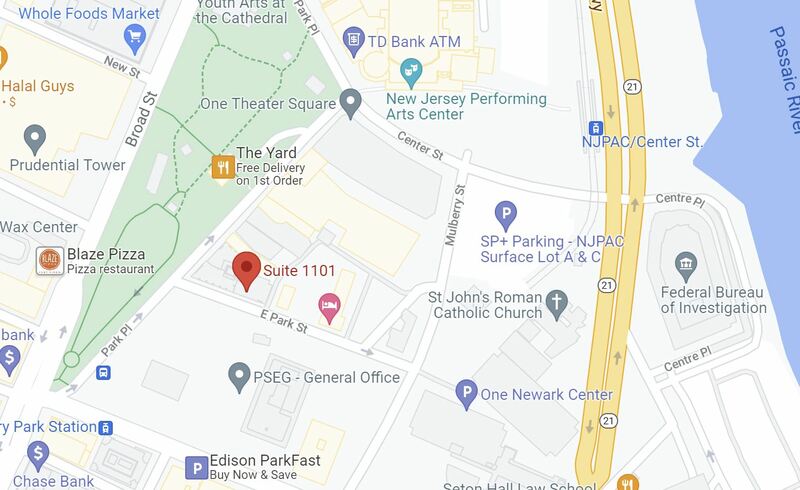 With offices in Little Falls, Hackensack, Camden, and Morristown, Alissa’s practice spans the state, including Bergen County, Passaic County, Morris County, and Essex County. She works tirelessly to protect the innocence of juveniles, students, and young adults who are threatened with criminal prosecution. Her exceptional skill and work ethic has earned her numerous awards and accolades. For instance, she was named among the 10 Best Criminal Defense Attorneys in New Jersey, by the American Institute of Criminal Law Attorneys. She has also been named among the Rising Stars in Criminal Defense by Super Lawyers. To learn how Ms. Hascup can help you, and find the answers you need at this critical time, contact her offices at 862-257-1200 for immediate assistance. Initial consultations are always provided free of charge. Ms. Hascup also vigorously defends juveniles charged as adults in New Jersey. In fact, her extensive experience as a Municipal Prosecutor and Assistant County Prosecutor makes her extraordinarily effective when dealing with prosecutors and judges in cases involving juveniles charged as adults. Depending on the circumstances of your specific case, it may be adjudicated before a Juvenile Judge in New Jersey Family Court, in the Criminal Division of County Superior Court, or in a local Municipal Court. The factors that influence this determination include: your age, your place of residence, and the location in which the alleged offense occurred. If you are under the age of 18, you are considered a juvenile under New Jersey law. This means that your charges will be addressed in the Family Division of the Superior Court in the county in which you live. If you are 18 or older, you will be charged as an adult and the degree of the charges against you will determine the venue in which your case will be adjudicated. 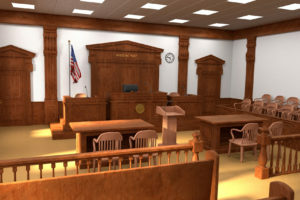 Specifically, if you are charged with a felony, which can be a first, second, third, or fourth degree crime, your case will be heard and decided in the Criminal Division of the Superior Court in the county in which the alleged offense occurred. Conversely, if you are charged with a lesser offense (a disorderly persons offense, petty disorderly persons offense, or municipal ordinance violation), you will be required to appear in the local Municipal Court in the municipality in which the alleged offense was committed. The aforementioned distinctions are incredibly important, as they will influence the legal process, the way in which your case is ultimately decided, and the penalties to which you are exposed if you are found guilty. Alissa Hascup represents clients in all of these venues and she is well-versed in the legal and procedural requirements of each. Her extensive knowledge of the way in which these cases are prosecuted provides her with a significant edge at the negotiating table and at trial. When you or someone you love is accused of a crime, questions inevitably arise about how best to proceed. To find the answers you need, contact The Law Offices of Alissa Hascup at 862-257-1200 for a cost-free initial consultation. She will be happy to discuss the circumstances of your case and outline your available legal options.